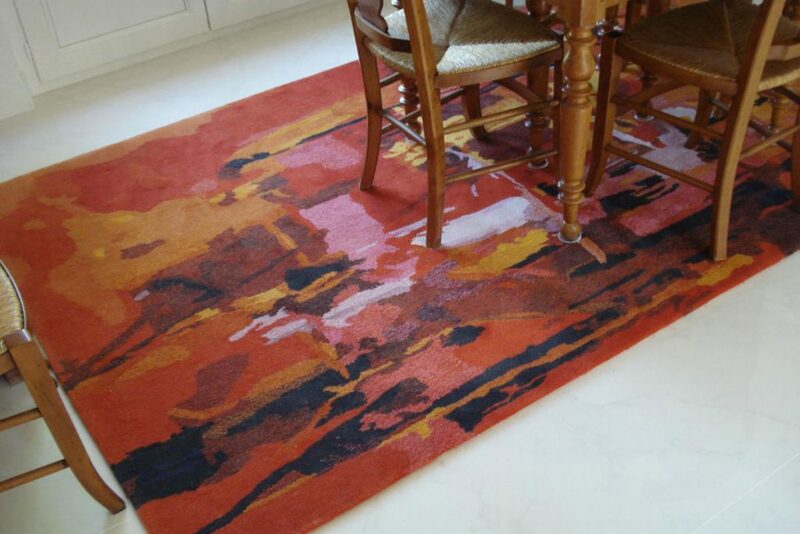 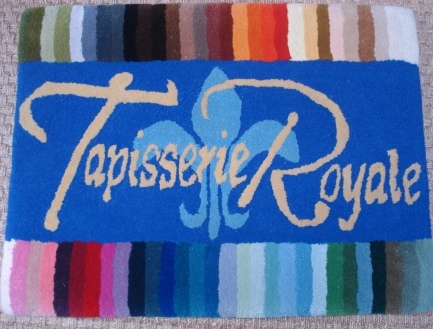 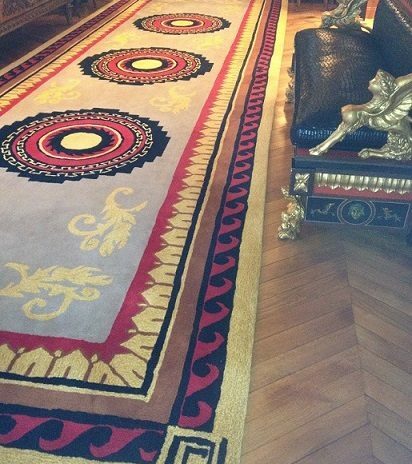 Made by specialised artists, Tapisserie Royale carpets are works of art just like our tapestries. 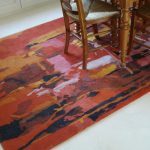 They will bring comfort, warmth and character to any home or business. 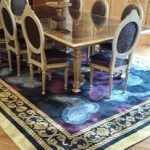 Whether your interior is classic or contemporary, traditional or modern, a fine carpet is both a great item of furniture and a central feature of your décor. 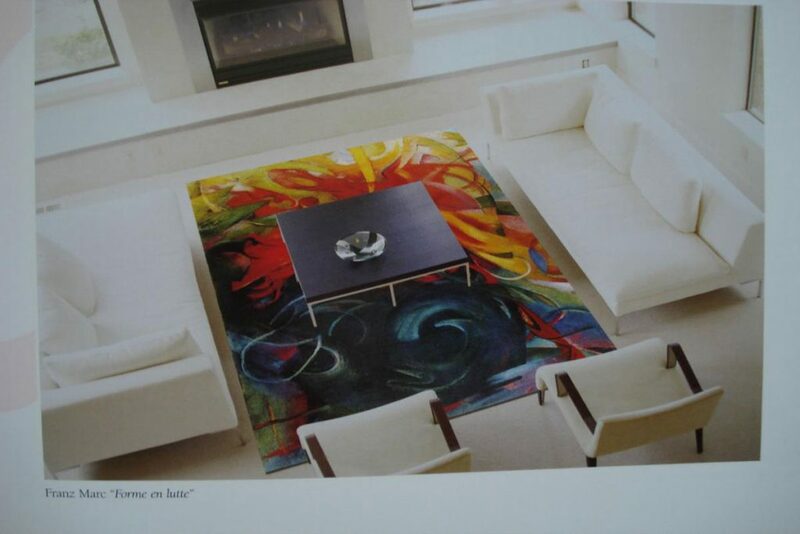 It brings a special sense of personality to your space, and a certain intimacy that no other floor covering can match. 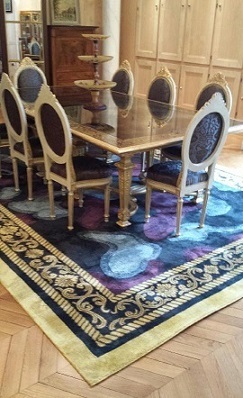 This modern procedure allows any size, pattern or colour to be applied to a genuine Aubusson carpet. 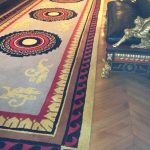 The carpet is hand-woven by an artist-carpet weaver, who uses a wool “gun” to interlock wool fibres through a canvas stretched on a vertical loom before gluing them to the back. 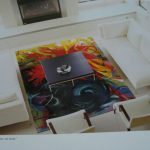 This revolutionary technique makes all kinds of designs and effects possible while guaranteeing an exceptional finish. 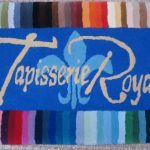 Now, just like in the golden age of French carpet weaving, the Tapisserie Royale’s carpets are manufactured in the same way as they were four hundred years ago: completely by hand, on a “high-warp” vertical loom in Aubusson. 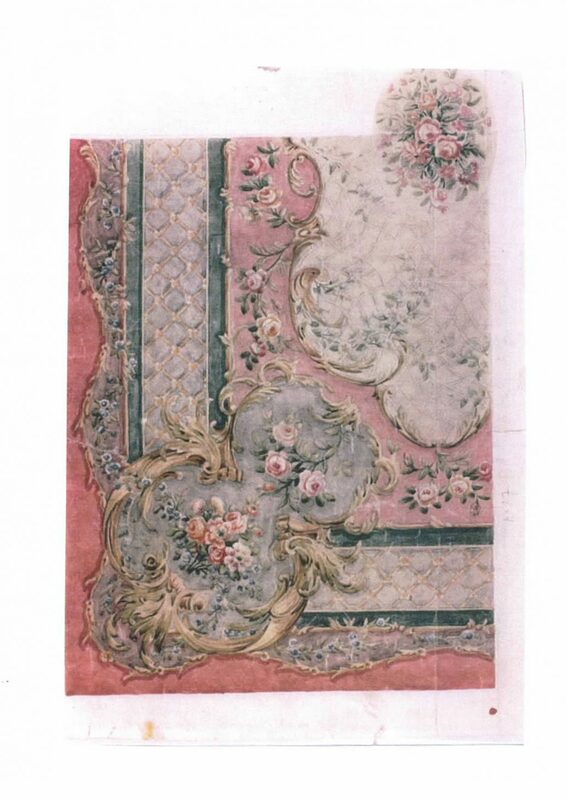 We have worked to reproduce and restore the old cards from the 17th and 18th century. 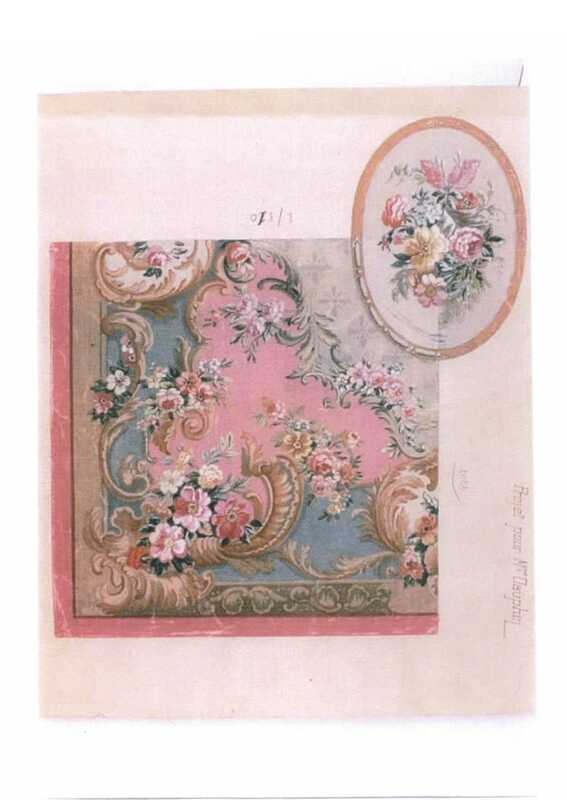 It was the robustness and durability of these that forged our reputation around the world. 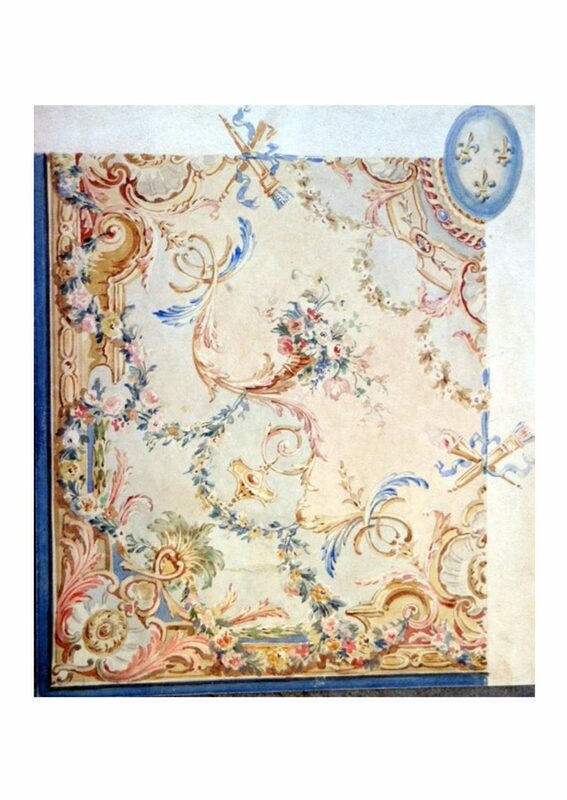 Authenticated by a certificate of origin, each of the Tapisserie Royale’s Aubusson carpets and tapestries are an investment which will stand the test of time, in addition to being a modern and original element which will imbue any interior with prestige and authenticity. 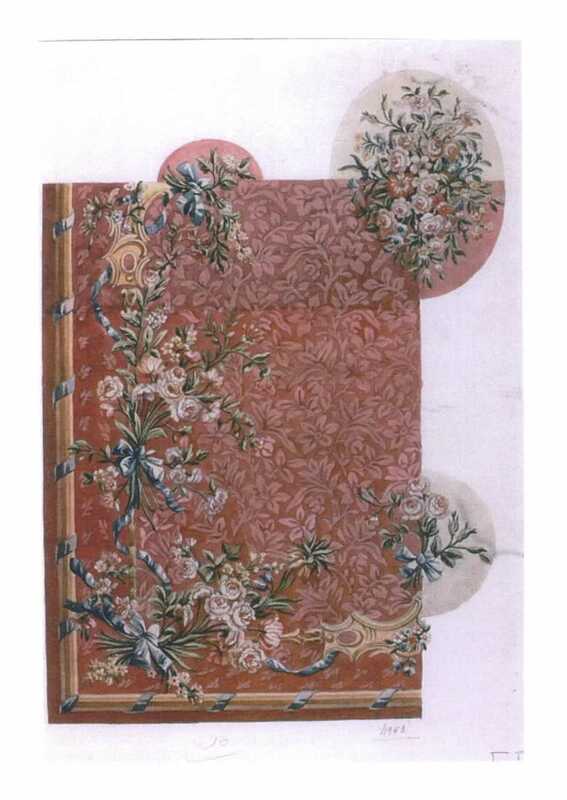 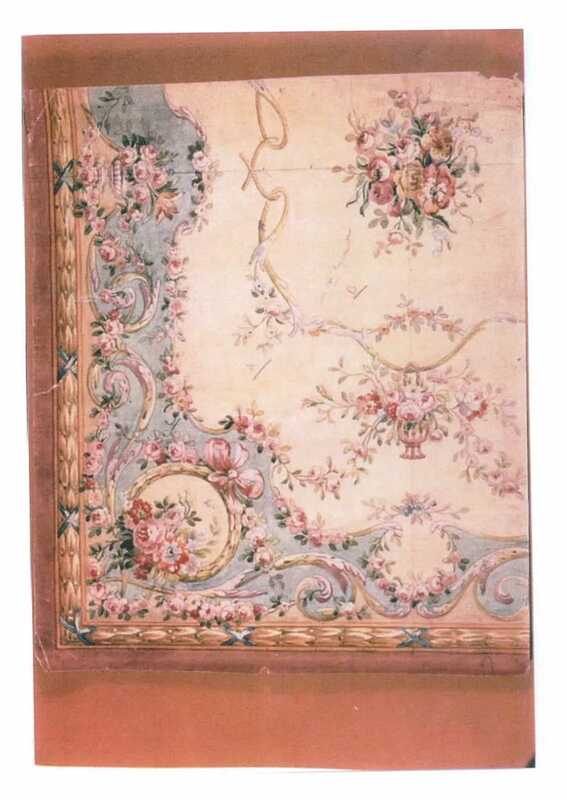 If you’d like more information about the Aubusson carpets available, come and browse the various different pages on our site.